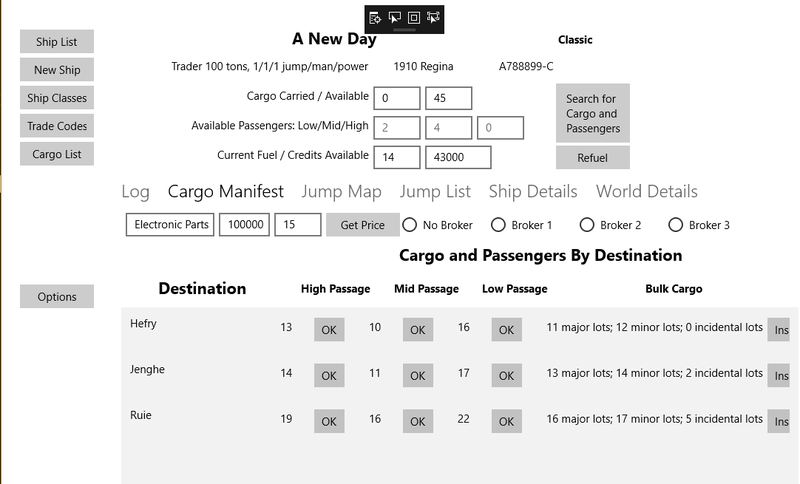 So I did end up adding the high, mid and low passenger by the class, and how many the of each the ship is carrying. 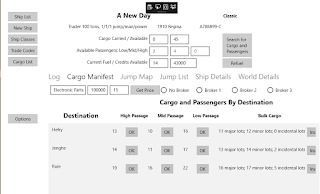 Loading will check to see if you have any capacity, and add in the passengers at the cost times the number of passengers adding to your credits. The jump process will have to unload the passengers - I am going to go with the assumption they are going to the destination world. This is also assuming you are going to the system where the passengers are listed.